Leading computer graphics and visual effects software developer, The Foundry has announced that MARI will be coming to the Mac OSX platform later this year. Today Phil Schiller, senior vice president of worldwide marketing at Apple, mentioned MARI in the famous Apple keynote. 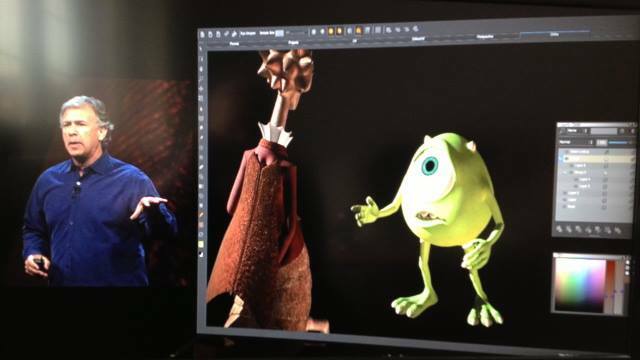 He highlighted a special lunchtime session taking place tomorrow which will demo MARI and the amazing new Mac Pro working together, with a little help from Pixar. In March 2013, The Foundry launched MARI 2, a revolutionary version of the software, featuring a brand new, artist-focused layer system. Staying true to MARI’s roots this major release focused on enhancing the painting experience for 3D artists. The addition of the new layer system means MARI is easier to use than ever before and will be a familiar working environment for users of Adobe® Photoshop® and other layer based paint tools.